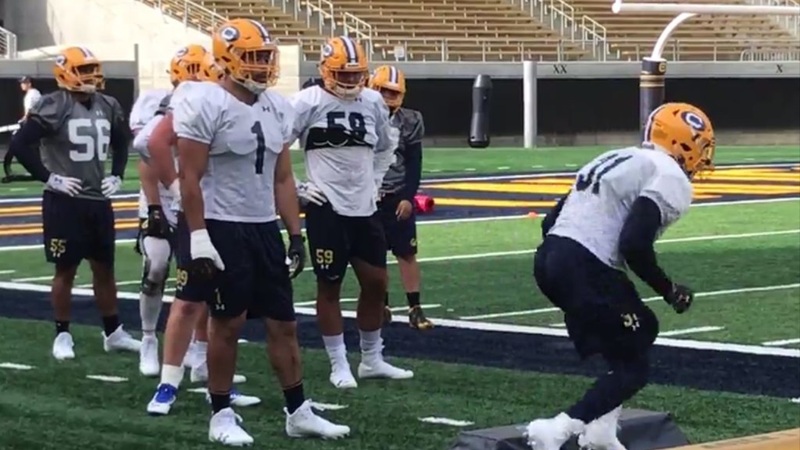 Although Cal used just two running backs against Ole Miss Saturday night, offensive coordinator Beau Baldwin said after practice Tuesday that he is still working several players at the position. Patrick Laird (22 carries, 78 yards) and Vic Enwere (13 for 75) did all the ball carrying against Ole Miss with Tre Watson sidelined. But Baldwin said that will not necessarily be the plan going forward. "I feel very confident if we have to go deeper, not even if we have to go deeper, maybe if we do go deeper is a better way to say it," Baldwin said.